If you are in need of a plumber in Moraga, then you can contact us. Our team of plumbing experts has the kind of experience and training that you can rely on for expert quality plumbing services. From fixing your leaky pipes to replacing your sewer, the team here at Evenflow Plumbing has you covered. Give us a call at 510-782-3649 or 925-692-5834. Our address is 360 Grand Ave, Suite 155 Oakland, CA 94610. Our plumbing company in Moraga offers you a variety of services. We can repair drain and sewer problems. We can also use hydro-jetting in order to clean out your drains. Additionally, we can handle emergency plumbing issues such as a burst pipe or frozen pipe. You can rest assured knowing that you can get great service from our plumbing company in Moraga. We are backed by the Better Business Bureau and have also received numerous positive reviews from our customers. Our plumbers in Moraga are also committed to keeping the prices low. We believe it is important that we are transparent to our customers. This is why we offer free video inspections, free estimates, and no cost travel. You should never have to pay for a quote to get a job done, or the travel expenses for our crew to come out. Faucets are one of the most common problems that Moraga plumbers fix. A dripping faucet is more than just a nuisance. It can waste water, which will cause you to waste money. 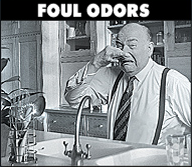 A plumber in Moraga can also fix a running toilet. A running toilet can waste up to 200 gallons of water per day. 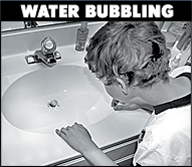 Decreased water pressure is another common plumbing problem. This is often a sign of a hidden leak in your home. 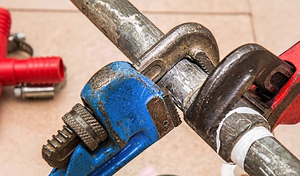 You can contact a Moraga plumber at any time, day or night However, it is important for you to learn what you can do to prevent problems from occurring in the future. Anything from using screens to prevent your drains from getting clogged; many plumbing problems start off as clogs. 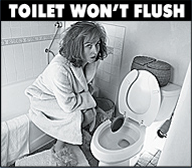 Avoid flushing anything down your toilet except for waste and tissue. Anything else will begin to build up in your pipes, which will eventually cause a clog. Our Moraga plumbing company has been around since 1994. We have been committed to our customers for over two decades. Furthermore, our plumbers in Moraga are there for you when you need them most. You can request emergency service anytime. So don’t hesitate. Get in touch with our team of Moraga plumbing professionals at the first sign of any plumbing problem.